Antique Baskets from the Mammoth Cave region of Kentucky. 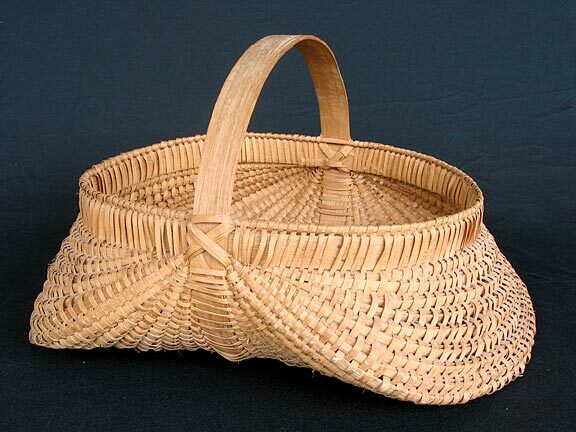 A 1/2 bushel egg basket made by Mary and Dovie Bow - Bow Kentucky. This basket was bought at the Louise Hanson auction sale in Cave City, Kentucky. Louise bought the basket from the Bow sisters in the 70's. Material: White Oak.